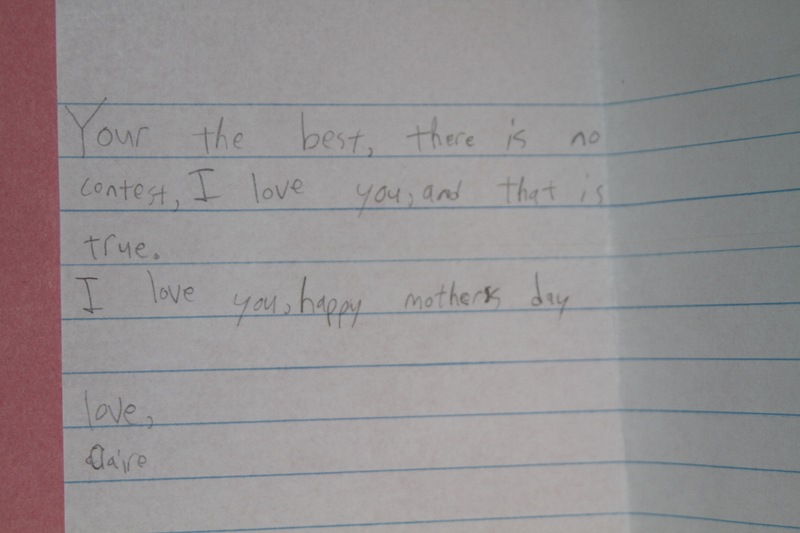 My nephew gave me an early Mother’s Day present on Friday — the worst cold I have had in a long while. I survived an afternoon out and about in Ferndale Saturday, having lunch and checking out the fantastic new Rust Belt Market with my squeeze, the bear and my future mother-in-law. I’ve been in bed since, watching the worst movies ever and playing online Scrabble. I awoke today in a cold-medicine-induced fog and stumbled downstairs to make Claire, my soon-to-be-step-daughter, some breakfast. I sat down with some o.j. and some vegan pumpkin pancakes I pulled out of the freezer for us. I don’t have much of an appetite, so I thought I better just east something quickly while I was up and about. 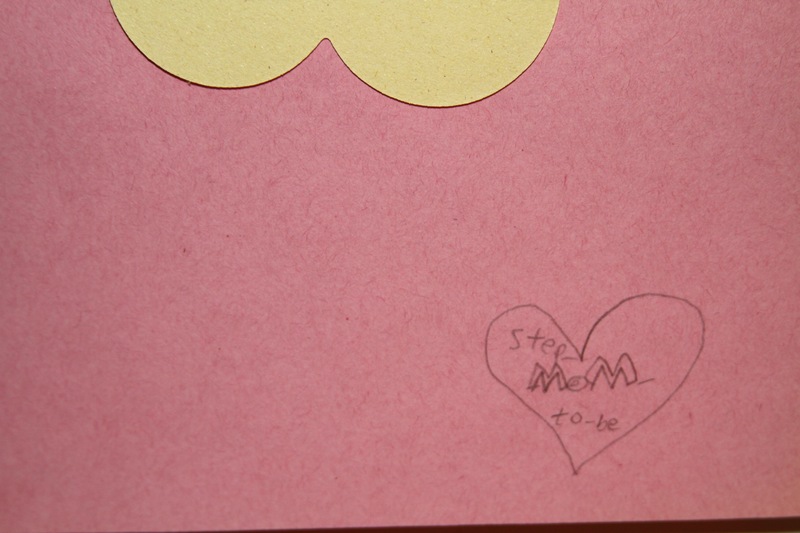 D appeared a few minutes later, and he and the bear wished me a Happy Mother’s Day and produced cards, art projects and a large box. Whaaa? We usually celebrate this holiday on the DL, with a card and maybe some dinner. This much of a to-do was a first, but what could it be??? 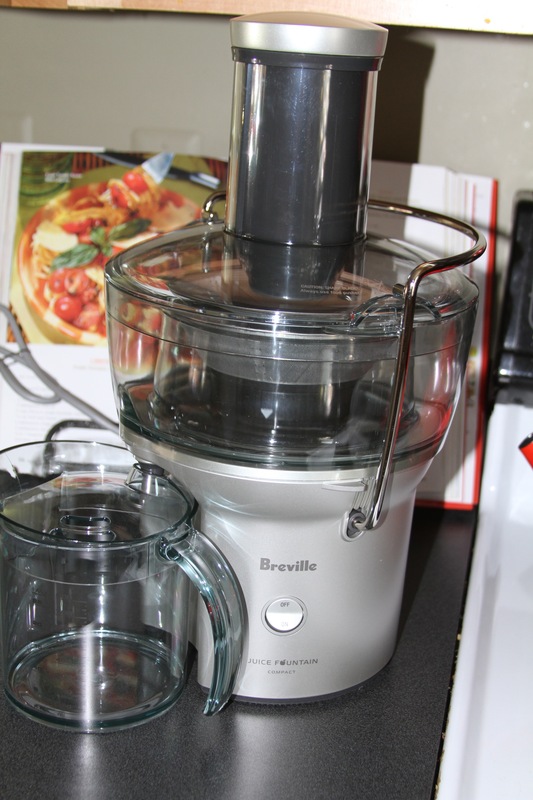 It appears Claire was listening when I mentioned recently that I thought my next investment would be a juicer, and suggested it as a Mother’s Day gift to her dad. How surprised was I to find this underneath some girly, butterfly wrapping paper!?!? I always have random veggies around, so I decided to get right to it! I read up a little in the book that came with it, and raided the refrigerator. I decided to go with carrot-apple-ginger, a favorite combo of mine. I have never juiced anything before, so I decided to just wing it. I juiced 4 medium carrots (peeled), two small red delicious apples (“lunchbox” size) and a pretty large piece of ginger (about 3″ long and pretty big around). 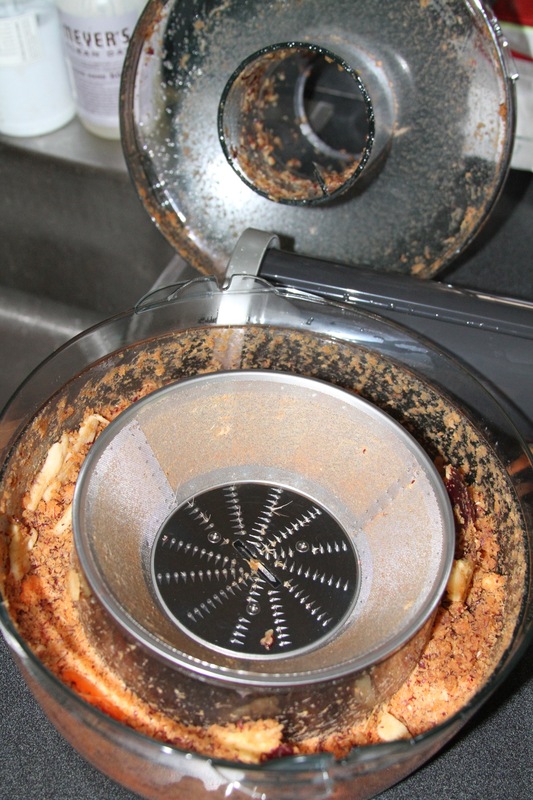 Everything was processed quickly and it produced enough juice to fill a decent-sized juice glass. Though I definitely was a little heavy on the ginger, I really loved it! Claire even said, “Actually, it’s not that bad — I kind of like it.” From a 7-year-old, I consider this high praise! I can’t wait to go crazy at the farmer’s market, try some new concoctions and find ways to utilize the pulp (carrot cake, anyone?). Despite the carnage to the left, it really was easy to clean up too — it only took a couple of minutes. Entry filed under: Kitchen Tools and Gadgets, Uncategorized. 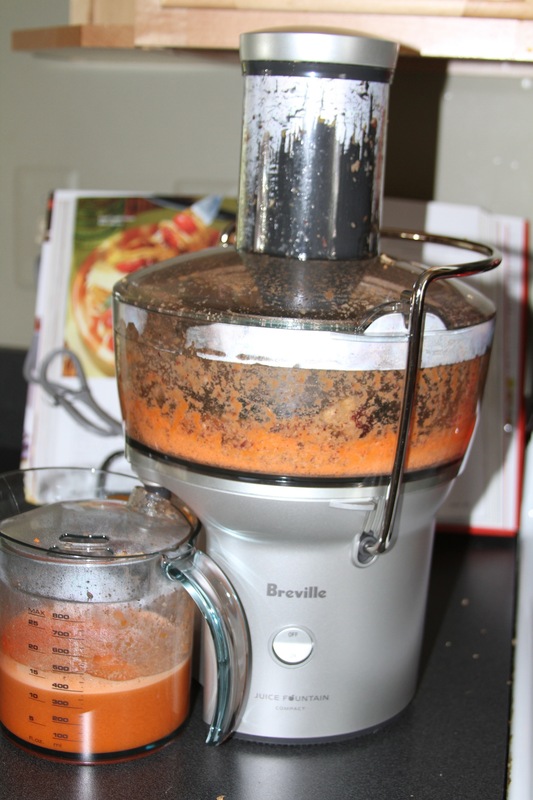 Tags: Breville, Breville juicer, carrot apple ginger, carrot juice, fresh juice, juice machine, juicer.